John Diener’s family started farming in the Central Valley in the 1920’s. 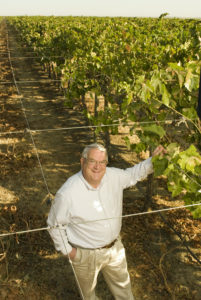 John bought his farm shortly after graduating with a degree in Agricultural Economics from UC Davis in 1980. Located in Five Points, CA, on the Western side of the San Joaquin Valley, Red Rock Ranch is 4,000 acres of fruit and vegetables, including spinach, grapes, almonds, wheat, alfalfa, and tomatoes. John is an incredibly innovative farmer who is passionate about discovering solutions to some of the barriers for Central Valley farmers. John has been widely recognized as one of the most innovative conservation- minded farmers in California, and he has been the recipient of numerous awards for his work. The Western side of the San Joaquin has high levels of selenium in the soil. Challenged also by poor drainage from a clay layer in the soil, the area is threatened by high soil and drainage water salinity, which can become toxic to wildlife, impeded safe off farm drainage, and lower crop and soil quality. Driven by both a love for learning, and barriers he faces in his own farming operation, John has developed many innovative farm projects to conserve water and address saline water management. John wants to see the Central Valley continue to be a successful farming region, and to help his farm stay in business so he can pass it on to the next generation. The largest barrier faced by John since starting his farm and his research projects has been the ability to find enough funding to finance his innovative projects. The lack of available resources, both tools and research, for cropland with high salinity has sparked John’s determination to develop solutions. In the “Four Corners” area of his farm, John experimented with four different management approaches; the data set from his research enabled UCD and Conservation Tillage Workgroup and several UC and USDA scientists to develop a soil quality index for the region. 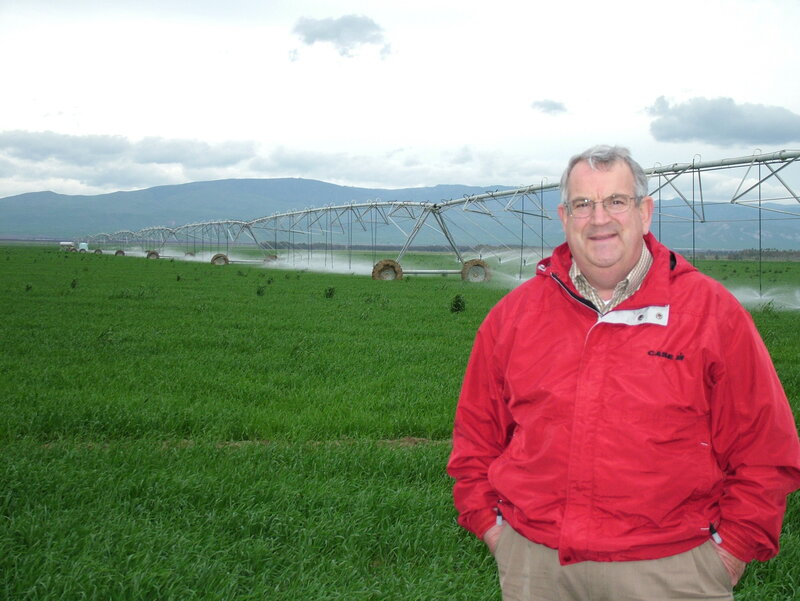 John’s major innovation has been the development of a method to treat the salinity in the soil and water, which he calls Integrated On-Farm Drainage Management System (IFDM). With the use of a subsurface drain tile system, John removes salt from the soil with water, which returns the land to high production. The drained water is reused to irrigate salt tolerant plants, which produces highly saturated saline water. This is then used in a solar evaporator or in a pond with brine shrimp (marketed as fish food or animal feed), which removes the selenium. Salt tolerant crops, like mustard seed and canola, are used to produce a selenium rich seed meal (which can be used as a feed supplement for cattle) and biodiesel for on-farm use. John has since been developing a new version of the system, the “Forever Water Machine”, which uses a 3 step process to produced distilled water, brine shrimp and salt. These methods increase the value and productivity of the land, improve water quality, and create marketable byproducts. IFDM has reduced his irrigation water by 20%. John has also implemented other practices to conserve water on the farm. Using minimum tillage at Red Rock Ranch has reduced soil compaction, and improved water infiltration. This method uses less fuel, and has reduced nitrogen oxide and particulate matter air pollution. 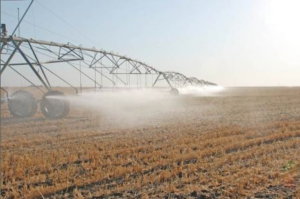 John uses center pivot sprinklers that have smart controllers, which allow for precise irrigation scheduling. This system has low pressure, which requires less energy, and also releases larger water droplet to reduce evaporation loss. In 2009, he was the first farmer in California to plant strip-till corn following wheat under center pivot irrigation. In 2003, he experimented with no-till wheat following corn and was able to save two spring irrigations due to the reduced soil evaporation he noticed under the residues from his previous crop He also was a pioneer at trying no-till cotton in heavy residues, as well as no-till corn and canola. John Denier’s innovative farm research projects have inspired many farmers, researchers, and organizations. He has been the recipient of several prestigious awards; in 1989-1991 he received the Profile in Leadership Award for Environmental and Natural Resource Stewardship while participating in the California Ag Leadership Program. John was the 2009 recipient of the Conservation Tillage Award, and in 2010 was awarded the Leopold Conservation Award. He continues to work with research organizations to further the development of conservation innovations. 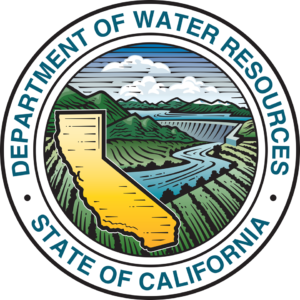 He is currently working with Panoche Water District and UCLA to increase efficiency of the forever water machine.